From time to time drains get blocked; sinks, toilets and even water pipes back up making life very unpleasant, uncomfortable and possibly even a health risk. Whenever this happens, the first thing to do is to consult Gold Coast Plumbing Services and request assistance. We are registered and licensed plumbers and qualified to carry out this work. At Gold Coast Plumbing Service we are a family owned, local business that provides specialist plumbing services throughout The Gold Coast. It doesn’t matter if it’s blocked toilets, blocked storm water drains or blocked sinks, we can handle it all. The reason why we’re trusted throughout the local area is because we only employ expert plumbers who have had the proper training, are qualified and have years of experience. 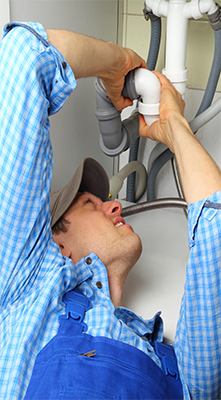 Our plumbers all go through the necessary background checks so they can be trusted to enter customers’ homes and businesses and provide them with the necessary quality plumbing services. Our family owned and operated business, provides quality old fashioned customer service and takes pride in the good quality it provides to its customers. All customers are treated with respect and dignity and all questions answered and queries responded to. At Gold Coast Plumbing Services, we offer professional blocked drain services at an affordable price. Blocked drains can be a nightmare and, if left unattended can cause major damage to the interior; floor coverings, furniture etc and the exterior; gardens, pathways, patio area etc. If tree roots have infiltrated your pipes causing them to crack and maybe even burst we’ll fix the pipes and have then doing what they’re supposed to be doing, i.e. carrying water, in no time at all. 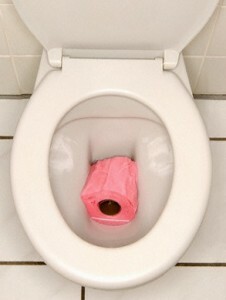 Blocked toilets can also cause all sorts of problems as well. If you suspect any pipe has a leak or more major problem, it’s wise to call in a plumber fast before unavoidable damage is caused. At Gold Coast Plumbing Services we have taken advantage of technological advancements and machines to make our work easier; jet rodding is a good example. This is a method of unblocking drains by using a jet of water at high pressure. Another process we have adopted in the clearing of blocked pipes, blocked drainage and blocked plumbing is the use of a technique known as jet rodding. Jet rodding is a modern form of clearing out blocked drainage systems. This technique makes use of high pressure water to clean out drains, storm water pipes and toilets in order to remove any debris that is causing a blockage.